Home » Wagner Meters Newsroom » Breaking News! The Rapid RH® DataMaster Named Most Innovative Product (MIP) at the 2013 World of Concrete Show! The Rapid RH® DataMaster™ is a smartphone-size, wireless, handheld device that, when used in conjunction with the Rapid RH® Bluetooth® Reader and the Rapid RH® 4.0 EX Smart Sensor, allows the user to acquire the internal relative humidity and temperature of a concrete slab via Bluetooth® technology. This data can then be uploaded, if desired, to www.f2170reports.com, ensuring data integrity and proper data documentation to comply with ASTM F2170-11. 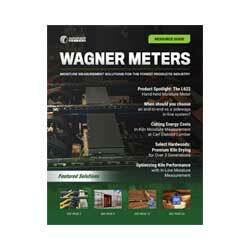 Another advancement in concrete moisture testing from Wagner Meters. 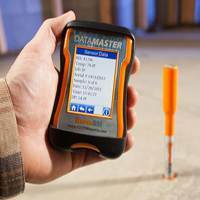 Because data integrity is just as vital as accurate RH testing when establishing the moisture condition in a concrete slab, Wagner Meters’ new DataMaster™ combines the accuracy and efficiency of the Rapid RH® 4.0 EX testing system with wireless technology for complete and accurate ASTM-compliant documentation on all your job sites. With no required manual data recording and its easy touch-screen operation, the DataMaster™ from Wagner Meters ensures that the RH testing results of the proven Rapid RH® 4.0 EX stay untouched and accurate, from initial reading to final reporting. Wagner has accomplished this by combining several proven technologies into one exciting new application. The original Rapid RH® Easy Reader with its Touch-n-Sense™ technology allows readings to be taken as soon as the Easy Reader contacts the Smart Sensor. No re-equilibration time, no delays. Bluetooth® technology added to the reader design gives portable and reliable accuracy with data from each job site, allowing RH% and temperature readings from within the slab via the Smart Sensor. Another vital part of proper moisture testing is measuring and recording the ambient conditions of the job site. This information is captured internally by the handheld DataMaster™. Touch screen operation makes the smartphone-sized wireless handheld device simple to operate and convenient to carry. Incoming data is stored on standard SD cards for compact, proven technology and ease of use. Contractors, inspectors, and flooring professionals can store multiple job sites on each card, or maintain individual and complete records for each contract by simply swapping out the SD card for each job site. USB data transfer can be done directly from the DataMaster™ via its integrated USB port, or with the use of any standard SD card reader. 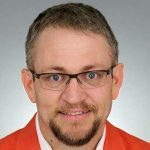 All data can be exported to standard Excel spreadsheets for record-keeping, trending or other data analysis as necessary. The rechargeable energy source also means no concerns about battery life or energy demand. With this innovative combination of reliable and proven technologies, the DataMaster™ from Wagner Meters protects the integrity of the data and the professionals who rely on it, from start to finish for industry compliance and accurate reporting. Once collected with the DataMaster™, relative humidity and job site data can be easily and accurately uploaded to a password-protected user account at www.f2170reports.com for further reporting, sharing and archiving. Along with generating RH reports from the most current readings, Wagner’s reporting site compares each sensor serial number with their database to verify that the sensor is within the calibration window documented on the certificate of calibration, which is provided with each sensor purchase. It will also print the verification on each report generated. Relative humidity testing has proven to be an accurate and reliable means of assessing the moisture condition in concrete slabs. With the DataMaster™, those results are also protected from manual recording errors or misplaced documentation. 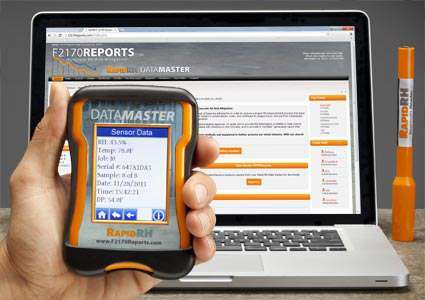 Complete ASTM compliance and data integrity are now at your fingertips, with the DataMaster™ from Wagner Meters. Learn more about the complete line of Rapid RH® concrete moisture testing products at www.RapidRH.com.